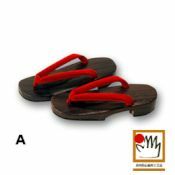 The "ukon" geta, the signature of which is its smooth flowing line, is a convenient piece of footwear for everyday use. 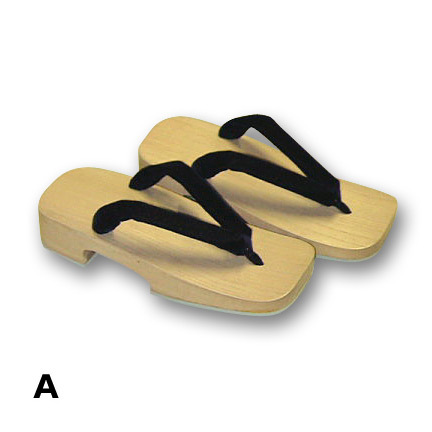 Because it has a streamlined shape, it's a geta difficult to get tired in even if worn for a long time or if you're new to geta. Because of the rubber on the bottom, you'll walk without slipping and without a sound. 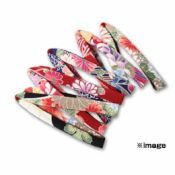 It matches both Japanese and Western clothes, and you can wear it with or without socks. 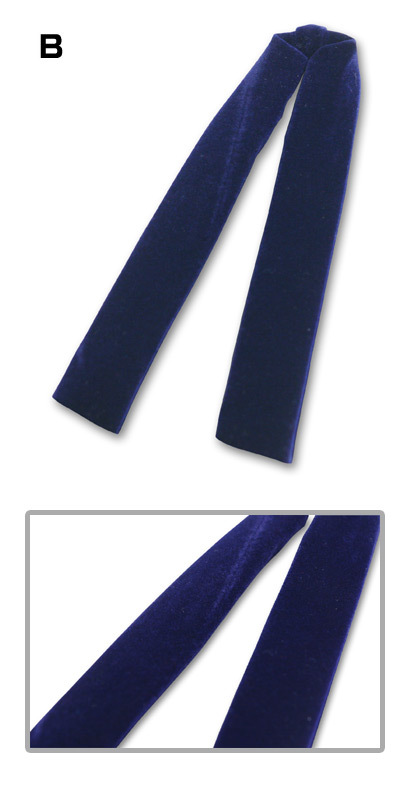 If you're choosing according to lightness of spirit and ease of wearing, this is our recommended popular standard. 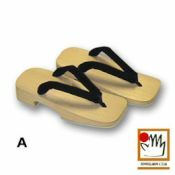 •As each geta is individually hand made,​ the size may differ slightly. 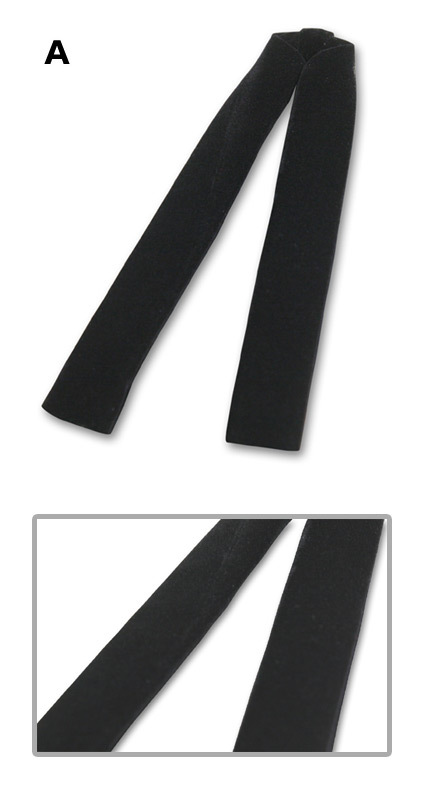 For customers with bigger or smaller feet,​ the strap may be tightened or loosened to adjust the size. 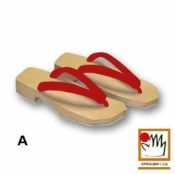 •The wood pattern and color nuance is different for each geta. 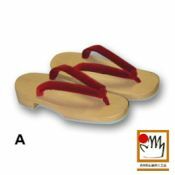 •The heels of customers with larger feet may extend over the ends of the geta,​ but,​ unlike with shoes,​ this is not a problem. 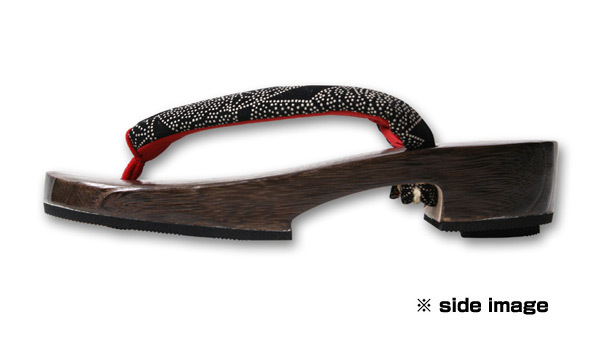 It was originally intended that the heel protrude when wearing Japanese footwear; this is said to be chic and cool. 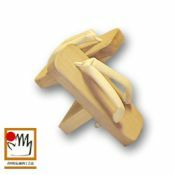 As this product is hand-carved after ordering,​ it may take some time before delivery. 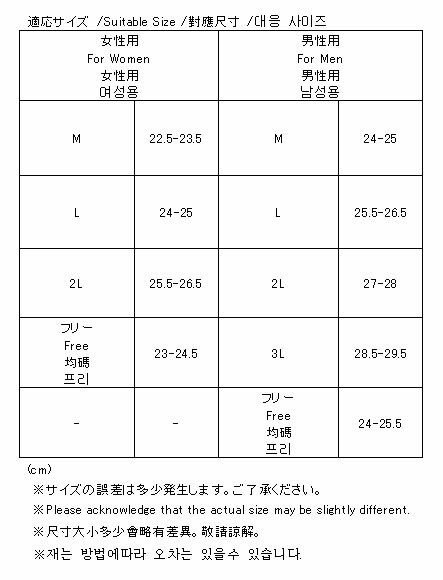 For more information,​ please don't hesitate to email us.